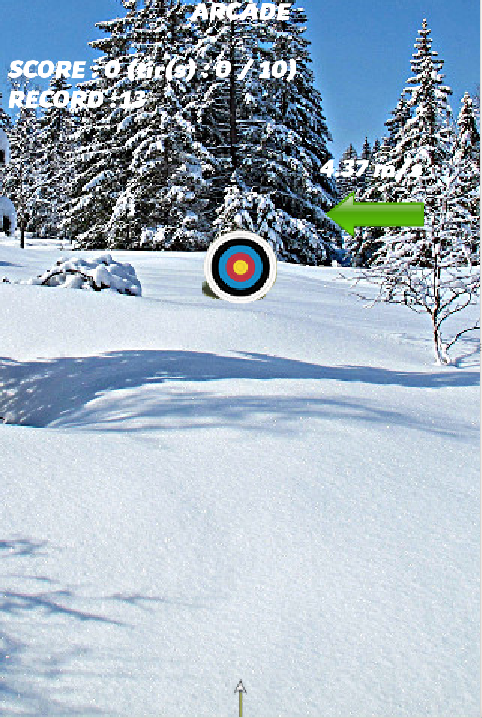 Archery Tour is a nice simple shooting game. Shoot with accuracy! But do not forget to consider the direction and strength of the wind. Depending on the shooting distance, your arrow may be strongly deflected. Consider these parameters to improve your consistency and accuracy. Several game modes are offered. Improve your consistency with the ARCADE mode, and upgrade your records. If you like challenges, accept those of the CHALLENGE mode. The TOURNAMENTS Mode offers to participate in various tournaments. Compete against your opponents for victory! You play as an archer. Gain experience and generate you a ranking by linking the seasons. You start the tournament on the INITIAL circuit. Progress to improve your ranking. Get promoted to reach the upper circuits!